Installing WordPress with PostgreSQL on Rackspace Cloud Server is possible, and it is more fast, adaptable to load balanced Cloud with nginx and Apache server. There are many points you must know before really progressing to this this guide for Installing WordPress with PostgreSQL on Rackspace Cloud Server. 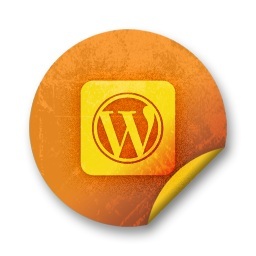 Everyone knows WordPress is the best for several reasons. But it is matter of fact, WordPress is actually build for typical LAMP server, and Apache has plus and minus points. Instead of MySQL if we use PostgreSQL, theoretically it will work after doing a bit tweak, but with unmodified WordPress does have problem. There are some WordPress Plugin (s) that can change or translate the Database type, but they / it is a horrible approach because you are basically using a kind of compromised WordPress. As we always want WordPress to work some what like Django framework, we can work a bit to run WordPress in that way. Please do not run your production / serious website in this way, this is a kind of experimentation, basically it will be good if you have your own git repo on other server for maintenance and updates. So do not follow this guide for Installing WordPress with PostgreSQL on Rackspace Cloud Server if it is a serious website. You can use nginx instead of Apache, or normally Apache, it really does not matter much. Ultimately you have to run PHP to serve the pages. This is the excerpt of the ways we did ourselves for Installing WordPress with PostgreSQL on Rackspace Cloud Server. It is intended for mainly for the developers who are used with Command Line Works and Cloud environment. This guide will point you towards Installing WordPress with PostgreSQL on Rackspace Cloud Server in a ‘public’ method, actually we used own moded version and unless we are sure it has at least some security, we can not publish the repo at github. sudo apt-get install git python libssl-dev in the way we followed on this guide. Stop here after installing git. Its ready but we will work on building the PostgreSQL server. Please read the article on Hostname and Fully Qualified Host Name to understand that, we will actually not use localhost, but either the IP or the Fully Qualified Host Name. You can do it on the one server but it can be messy and the elastic fun of Cloud will not be perceived. The second one is to give you a GUI based web software like PHPMyAdmin. Basically you will be able to create your own PostgreSQL server, like Rackspace Cloud offers for MySQL and Oracle. Please try to understand how you can actually use git to pull and deploy the modified WordPress from Deploying WordPress as Facebook App With Heroku Cloud guide. As a developer, you will understand the logic. This is not really a full step by step guide for Installing WordPress with PostgreSQL on Rackspace Cloud Server, as soon we can compile to make it more fast, with whatever the database is, we will release our repo after security testing. You basically need another server as git repo, where you have to modify the latest updates and install / update using git. This Article Has Been Shared 8729 Times! Installing MyBB Free Forum Software on Rackspace Cloud Sites needs some extra work compared to WordPress like PHP MySQL based softwares. Here is full guide. Cite this article as: Abhishek Ghosh, "Installing WordPress with PostgreSQL on Rackspace Cloud Server," in The Customize Windows, September 12, 2012, April 18, 2019, https://thecustomizewindows.com/2012/09/installing-wordpress-with-postgresql-on-rackspace-cloud-server/.